Unparalleled Performance, Dedicated RAM, Proudly Australian Servers & Support, did we mention fast, damn fast! Brand new fully featured control panel, featuring quick deployment, monitoring, hardware firewall and much more. Looking for true premium services? Configure Your VPS Now! What Can I Do With a VPS? VPS Blocks leads Australia in the latest VPS technology. Offering SSD standard, dedicated RAM, premium services like self-healing failover, advanced control panel, Windows and many Linux variants to choose from, and 100% Australian support & servers. Operating systems currently available include Windows, CentOS, Ubuntu, cPanel, Debian, CloudLinux and Plesk. For a full list see our pricing page. All our servers are semi-managed, VPS Blocks is one of the few companies you can directly engage ITIL defined level 3 support technicians via phone, live chat or email free of charge for any requests with regards to operating system or common application installation, updates, troubleshooting or performance advice. We offer CentOS 7 + cPanel (or Plesk) operating systems. Perfect for hosting unlimited websites or that all important business website. Whether you want to trade forex, host exchange mailboxes, use as a proxy, a virtual desktop or more. We have got you covered. Trading forex? Our Windows VPSs are perfect for hosting MT4 or Oanda platforms so you can run trading robots 24/7. Self-Healing Failover means if a physical machine (node) goes offline for any reason the Virtual Machines running on that node are automatically mounted on another node and brought back online. 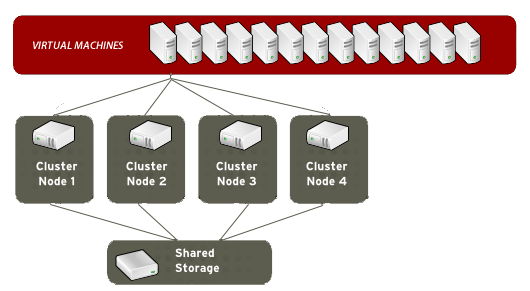 This means redundancy for your virtual private server hosted with VPS Blocks. We can even perform live migrations meaning node maintenance can be done without any downtime at all to virtual machines. A true self-healing environment such as ours is possible thanks to our 100% Full SSD Storage Arrays. Operating since 2012 we have quickly established ourselves as the best value provider in the market. Offering the latest in VPS technology we have quickly built relationships with IT companies in Australia to offer premium level services without the price tag. Looking to virtualise your in-house environment? VPS Blocks can send engineers on site to virtualise your environment. Self-healing or standalone virtualisation has so many advantages. Virtualisation simplifies your IT infrastructure, increases your uptime and saves you money. Contact us for a detailed quote. Using our control panel you can simply upgrade your plan or individual resources if you outgrow your existing VPS. Simple, Automated, Perfect! Someone trying to upsell you? Know the facts! Cloud hosting is scalable, add or remore CPU or RAM, easily! Self-healing means if a server fails your VPS will fail to another system, with dedicated you can be down for hours. 80% off your first monthly payment. 30% off your first annual or semi-annual payment. You can save hundreds . * These offers may be used once per customer for new VPS orders only.